Your life will never be the same after you experience Klipsch signature sound for the first time. We put more than 70 years of acoustic technology into our award-winner home theater systems to give you an intense, fun experience every time you watch a movie or listen to music. We are The Keepers of the Sound®. The greatest advancement in home audio speakers since surround sound systems - Dolby Atmos® delivers an experience like no other, complete with an overhead soundstage to fully engulf you into your movies and music. Our goal with the Klipsch Reference Premiere home theater systems is simple - blow the roof off your expectations. We melded more than 70 years of engineering expertise with state-of-the-art tech to create a home theater system that will have you falling in love with your favorite movies and music all over again. Take home the incredible, immersive home theater experience with a Klipsch Reference Dolby Atmos® home theater system. 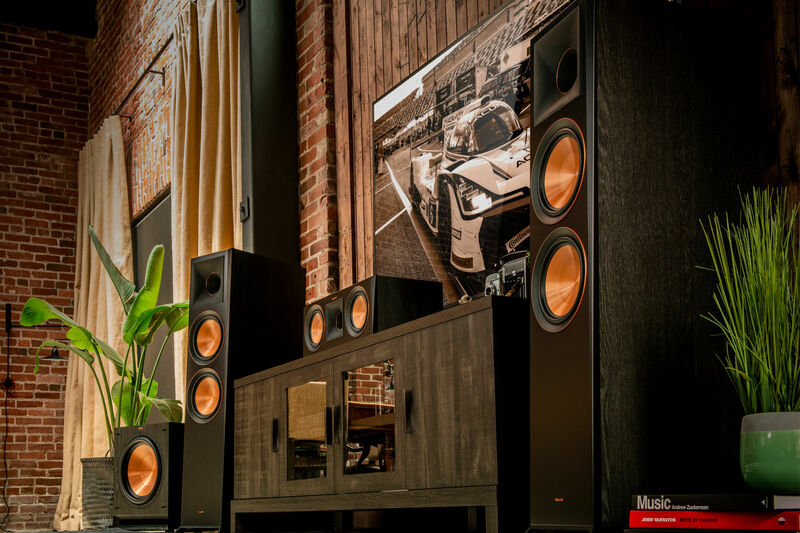 This extraordinary custom home theater series brings real cinema sound to the comforts of home by using the same professional-grade technology as Klipsch’s renowned professional cinema systems. We've taken the premium materials and acoustic technology of our revered Reference series and designed a beautiful 5.1 surround sound system to pair with your favorite AV receiver.